Finding platforms to use to market your brand to potential customers is a top priority. So you scour through all the social media networks to see which is right for your brand. During your search, you’ll come across Pinterest. And if you’re like a lot of businesses, you’ll overlook this powerful tool thinking it’s unusable. But we’re here to change that ideology of Pinterest – one of the leading platforms on the net today (yes, even for marketers). 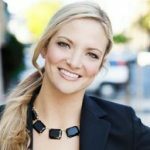 If you’re looking to market to American females, then this is the platform for you. It boasts having 81% of its user base being of the female gender. But it’s not just Americans using it – over 50% of Pinterest users are in other countries. And all together, they’ve created over 3 billion boards. This speaks volumes of the popularity and the usage of this platform. And if you’re trying to market to the global female customer base (or even just in America), then this is a good medium to use. However, if none of this convinces you, then maybe the following will. The purpose of Pinterest is to create boards and pin images of the items and places you want to obtain or travel to one day. You can find boards across all industries, including home improvement, interior design, fashion, cooking, pets, children’s clothes, and more. These users are organizing their shopping list and ideals in the hopes of one day acquiring the items on their wish list (aka boards). 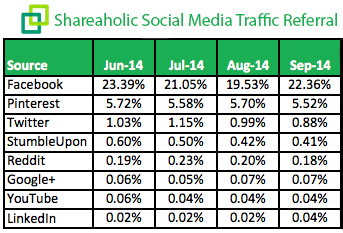 And this is why you’ll find that Pinterest drives nearly 4x more sales than other social media networks. 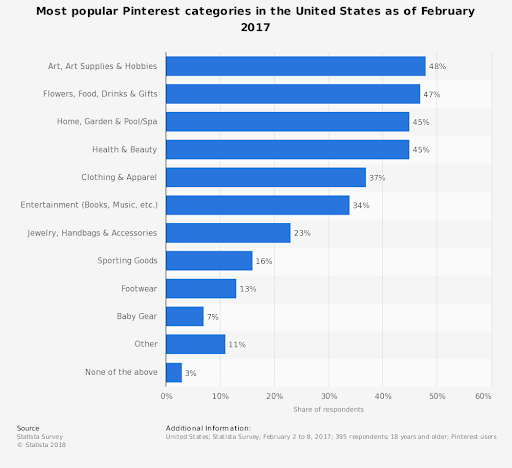 A whopping 96% of pinners use Pinterest to research and gather info on products. Then 87% of pinners have bought products on the platform. So not only do they have the behaviors of shoppers – they are shoppers! By having your own boards and pins going viral, you can drive more traffic and conversions for your brand. All of the posts you publish on social media should yield some results for website traffic generation. On Pinterest, you have a high chance of gaining traffic from your pins because these users are shopping around. They’re interested in learning more about the products, people, and places they find pinned throughout the platform. By including links in your pins, you can help drive traffic to your blog and product pages. Just be sure you’re focusing more on content value vs product promotion. With the right tools, you can pin content from your site directly to Pinterest. You can also schedule pins so you don’t have to focus too much time and energy on this task. Plus, it’ll keep your strategy running strong. There’s a lot of heat being thrown at Facebook for changing its algorithm in a way that works against brand pages. If this is an issue you’re having with Facebook, then you’ll be happy to learn Pinterest users aren’t. Pinterest’s algorithm is all about keywords, not followers. So just because you have a few followers doesn’t mean your content reach will be minuscule. Instead, it’s about how engaging and optimized your content is. If you’re properly tagging them so that pinners with specific interests can find them, then you’re in the money. It’s also worth noting that the half-life of pins is far longer than Facebook posts (1,600x longer to be exact). This means everything you post will continue yielding traffic and engagement for months or even years. Getting the attention of shoppers is great. But what’s even better is getting the attention of shoppers who like to spend a lot of money. As a brand, you can’t help but go where the money is. After all, without it, your business will shut down. On Pinterest, you’ll find that pinners have larger average order values than Facebook. And it just so happens that the leading categories pinners shop in are art, flowers, food, home and garden, health and beauty, and apparel. So if you have products and services in these industries, then you can find great success here. When you go to any other social media network, you’ll find a heavy disdain for branded content. But you won’t find the same sentiment on Pinterest. In fact, 78% of pinners say they find brand content useful. That’s a huge difference in the mindset of the consumers on Pinterest. And what this says is that you can create your content and get great user engagement and conversions from it. The more pinners share your content, the further your reach goes and the higher the chance of getting more followers and traffic to your website. For every $1 you spend on Pinterest, you get a $2 profit. How many mediums can you say yield the same results? This is due to the way pinners use the platform. They’re not just pinning images for DIY ideas, they’re looking for products to purchase in the near future to bring these ideas to life. About 55% of pinners say they use the platform to find and shop for products. If you’re promoting your pins, then you can potentially get a 100% return on investment. But you have to do it at the right time to capitalize on trends, seasons, and other time-sensitive factors that can help or hurt your sales. Ready to Start Using Pinterest? We hope so! If you find your target audience is here, then it’s time to set up your profile on this platform. With these insights, who wouldn’t want to get an ROI on branded and boosted content? It’s a marketers dream. Just be sure to develop a content strategy to ensure you’re publishing posts that are consistent, relevant, engaging, and high-quality. Keep your focus on your target customers and you’ll continue delivering exactly what they want and/or need. Let us know in the comments what strategies you use to get more repins, traffic, and other forms of engagement!